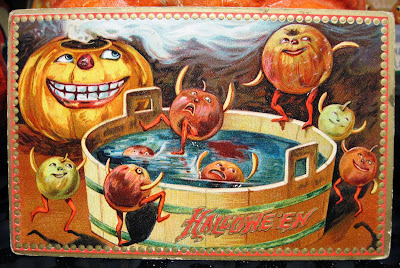 Here's a favorite from my collection of antique Halloween postcards. Circa 1906, it features wonderfully expressive apple characters plunging themselves gleefully into a tub, ready to take part in the classic party game of bobbing for apples. 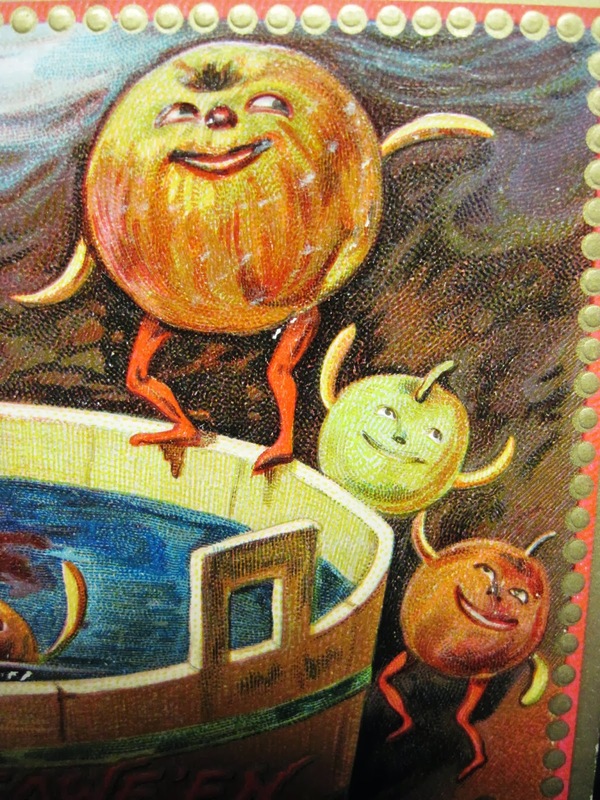 On closer inspection, the apples' expressions become clear: those waiting for their turn to jump in the water look expectantly happy, while those already in the water appear distraught, only now fully comprehending their plight. 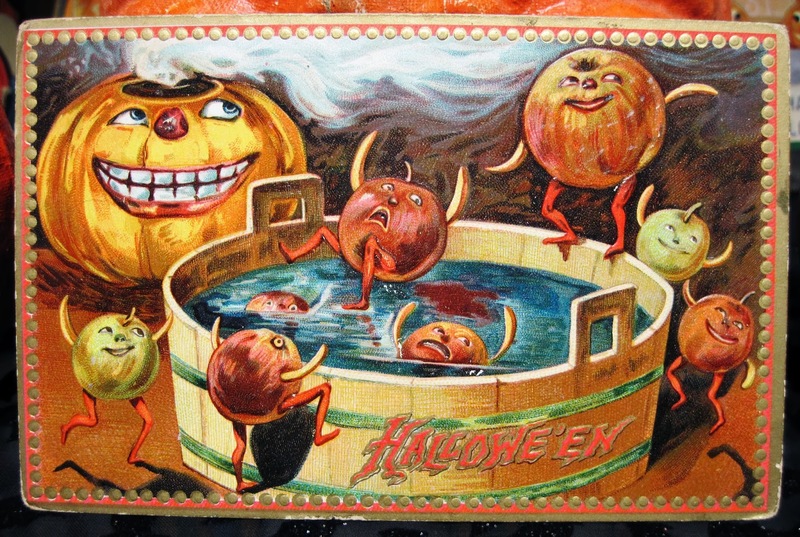 In the background, a sinister jack o' lantern urges the hapless apples on. "Wheeee! We get to go swimming!" "Oh no! What have we done?!" Love it! All those vivid reds and oranges against the black give it an underworld look. 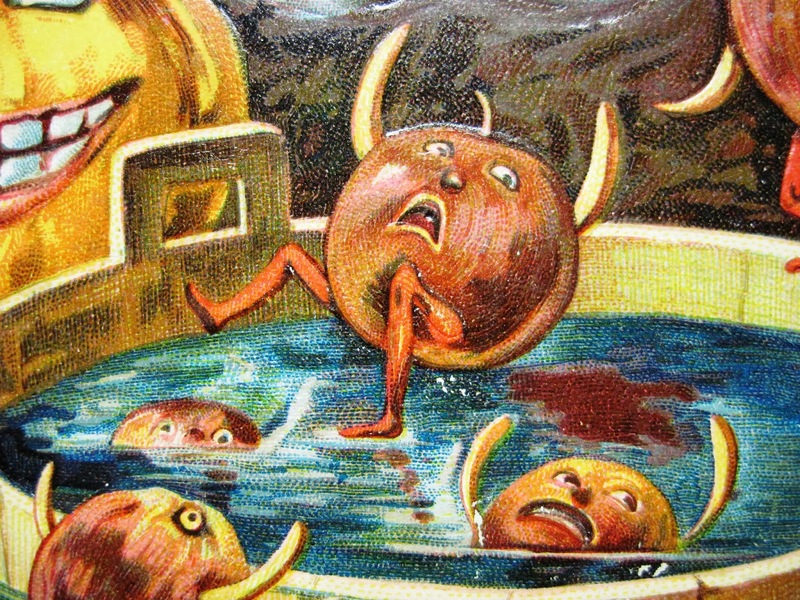 Isn't it amazing the gruesome stuff that passed for joyful celebrating back then? I'm sure there had to be a lesson here; perhaps it was to "look before you leap". Or the all time favorite, "If all your friends were jumping off a cliff...". 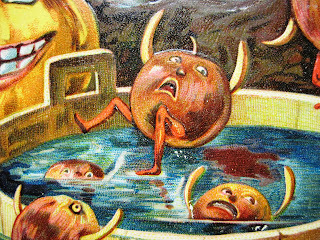 What great fun this postcard is! Thanks for sharing.